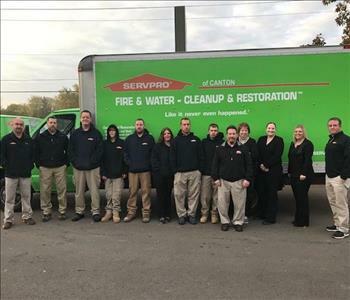 SERVPRO of Canton's Company employees. All of our employees are IICRC certified. (A national certification for the restoration industry) This keeps us better prepared and up to date on all industry changes that may affect our clients. This certification is also recognized by all insurance companies. Adam joined the SERVPRO of Canton team four years ago when he became part owner. Adam is a licenised contractor, and now SERVPRO of Canton and has been able to add a re-construction side to our franchise. This gives our customers a "one stop shopping" option, that has proven to be very popular! Eric has been with SERVPRO of Canton since the very beginning. Eric began as a Production Manager and then became Operations Manager and this past year became part owner of the franchise. Eric oversees all aspects of production and personnel. Eric is IICRC certified in Water Damage and also certified in Mold Remediation. With his years of experience there isn't too much he hasn't seen! Ed has been with SERVPRO of Canton for 20 years. He started out as a production technician and worked his way up to Production Manager. Ed's job is multi-faceted, as he oversees the production crews, tracks equipment and vehicle maintenance, and orders production supplies. He also provides estimates, performs drying checks and equipment pick ups. Ed also communicates with insurance adjusters providing a smooth process for everyone. Eric has been with SERVPRO of Canton for over 4 years. Eric was already an experienced Crew Chief when he came to us. Eric is IICRC certified in Water Damage Restoration. As Crew Chief he leads the crews into all kinds of claims, as complex as water, sewage, mold and bio-hazards to as simples as carpet cleaning. Eric is a great asset to our franchise. Nickie has been with SERVPRO of Canton for 12 years. Nickie acts as a Crew Chief for all our Fire/Smoke Damages, Pack Outs, Pack Backs and General Cleaning jobs. She also works as a Production Technician on water damage claims. Nickie's attention to detail is vital element for inventory tracking during pack-puts and pack-backs. Teddy is one of our most experienced Production Technicians at SERVPRO of Canton. Teddy is IICRC certified in Water Damage Restoration and Carpet Cleaning. 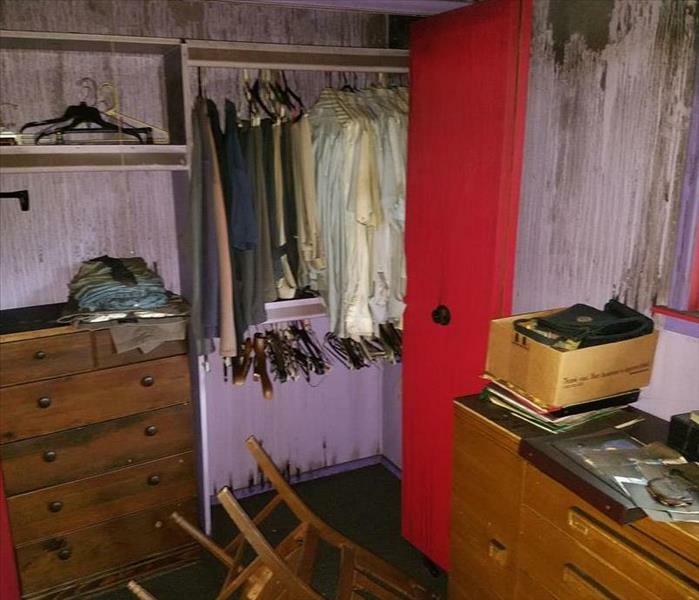 Teddy's is proficient in commercial and residential water damage clean up, carpet cleaning, mold remediation and bio-hazard clean up. You would also see Teddy during drying checks and equipment pickups. Nancy is our Office Manager and has been with SERVPRO of Canton for over 10 years. Nancy oversees all aspects of the office, jumping in where ever needed. She is key in communicating with customers and adjusters alike. Nancy insures that we stay compliant with all guidelines and audits. Sara has been with SERVPRO of Canton for over 8 years. Sara is our Administrative Assistant. Sara came to SERVPRO during college as an intern for her business class and we liked her so much we hired her! Sara answers the phones so the first voice you will hear is hers. Sara can also help with scheduling your appointments and answering most any question you may have. Sarah has been with SERVPRO of Canton for 3 years and has proven to be a great addition to our franchises. Sarah's duties include all aspects of Accounting and Collections. And when the phones are ringing off the hook, Sarah jumps right in and helps by answering them!